Singapore, 9 January 2013 – Audience in Singapore will have a rare chance to plumb the crazy and seedy side of the country through the 1971 B-movie Wit’s End (aka G.I Executioner), arguably the first American film to be produced and shot entirely in Singapore. The film will be shown for the first time in Singapore at The Arts House this January. 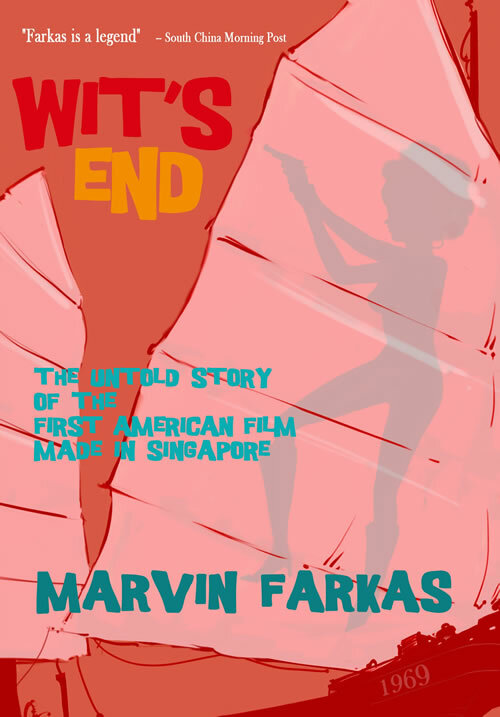 In addition to the weeklong screening from 23 – 30 January, the film’s producer Marvin Farkas will also launch his memoir that recounts the improbable tale of making the film, Wit’s End: The Untold Story Of The First American Film Made In Singapore. Farkas will be joined by his director Joel M. Reed, via Skype from New York, in a discussion that promises to be revelatory as much as it is nostalgic. Check out its title sequence and see if you can recognise some of the places where the scene was shot at! Note that the movie was filmed in Singapore in November/December 1969. Wit’s End was filmed in some locations very near The Arts House, becoming an unwitting documentary of places in Singapore that were long gone or changed beyond recognition. 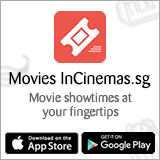 The film, which follows jaded American Marine and journalist Dave Dearborn as he chases down mobsters, prostitutes and a mysterious substance called “anti-matter”, features rare historic footages of places such as Clifford Pier; the Ellenborough Market, now Central Mall; the old Raffles Institution, now Raffles City mall; and one of only two public toilets that once stood in the middle of traffic, now the Clarke Quay area. The Arts House will be organising a photo trail, guided by Alex Tan of the Singapore Heritage Society, that retraces scenes from the film. The photo trail will take participants back to the olden days where the area was alive with trade, godowns and a certain infamous public toilet. A photo exhibition will also be organised at The Arts House, featuring the behind-the-scenes making of the film, rare film stills, as well as newspaper reportage in The Straits Times on the movie which was then known as No Visa for Singapore (“Lead roles going a-begging in 'No Visa' film”; “Shooting begins soon, but still no Mei Lee”). Wit’s End (aka G.I Executioner) will be screened at The Arts House from 23 – 30 January, and the photo exhibition will run from 14 – 31 January. Marvin Farkas will launch his memoir on 26 January, where a discussion with film historian Ben Slater and director Joel Reed over Skype is being planned. The photo trail will take place on 27 January. Tickets to the film and photo trail can be purchased on www.bytes.sg. Running Man Star, Kim Jong Kook, to promote his 7th Album in Singapore this February!